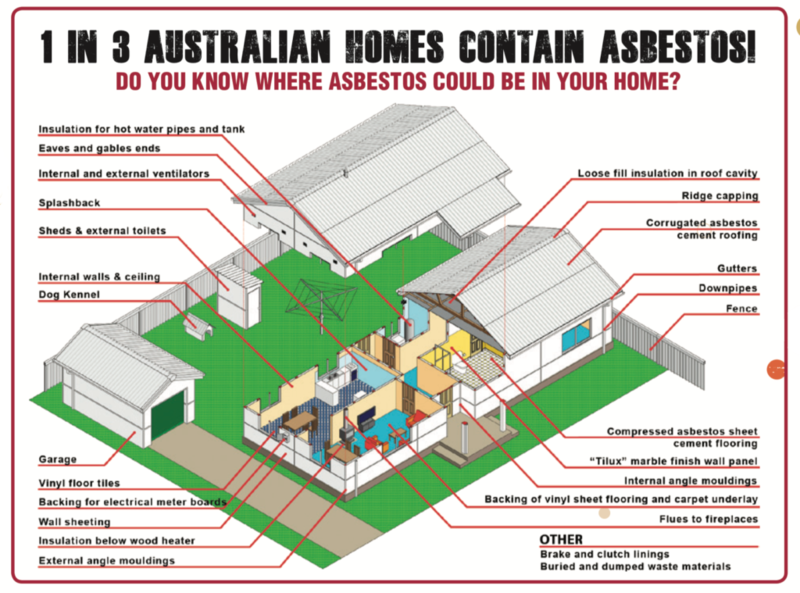 Does Your Home Contain Asbestos? With Asbestos banned, it’s easy to assume the issue has been swept under the rug. Yet, Australia has one of the highest rates of asbestos cancer in the world with one in three homes containing the stuff. Perhaps the truth is also swept under the carpet, because we don’t hear about the 700+ diagnoses and the 600+ mesothelioma mortalities every year. That’s two diagnoses per day. But the figure could be even higher, with an estimated 4000 Australians perishing annually from asbestos-related disease (ARD). Tim Driscoll came to this alarming figure through his research into ‘cancer clusters’ at the University of Sydney. These clusters, are a combination of carcinogenic materials that people are exposed to at once. He has the job of untangling the many cancerous influences we face in modern day life to find the role of asbestos. “If two of us were exposed to the same carcinogen, one of us might get cancer and one of us might not. One might get it in 15 years. One might get it in 25 years. You don’t necessarily get the same result from the same circumstances” said Tim. So does your home contain asbestos? The simple answer; if your house was built between the 1950s and the 1980s, there’s a two in three chance your home contains asbestos. Location can be a factor too. Western Australia has the highest rate of mesothelioma, followed by Queensland and New South Wales. Tasmania has the lowest. It’s not only in our homes – asbestos dominates the news. Most recently, a man sent dozens of asbestos bombs to embassies and consulates across Australia. 60 parents pulled their kids out of a primary school after clumps of the stuff remained in a classroom after a refurbishment. Many man-made materials are harmful. Plastics, radioactive waste, CO2 emissions. So you would assume asbestos is man-made too right? 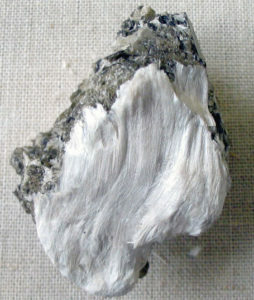 Yet, asbestos is one of six naturally occurring silicate minerals that make-up 90% of the earth’s crust. A result of the processes that have been forming and re-working the crust for billions of years. These processes include partial melting, crystallisation, fractionation, metamorphism, weathering, and diagenesis. It’s a thin fibrous crystal, with each visible fibre composed of millions of microscopic ‘fibrils’. And that’s where the problem lies. It’s so small it can get into the very atoms that make up our bodies, causing havoc. But when the industrial revolution was in full swing, this material became mined on a large scale. It was praised for its impressive sound absorption, average tensile strength, affordability, resistance to fire, heat and electricity. Alarm bells were ringing at the starts of the 1900s when the first death from asbestos occurred. This sparked studies into the effects which hit their stride between the 1920s and 1930s. Frustratingly, it’s difficult to pull the brakes on the industrial wheel. Australia only issued a total ban in 2003 and efforts to eradicate it will take hundreds of years. Though, towns like Uralasbest in Russia still increased its asbestos production to 315,000 tons last year with 80 per cent of it sold abroad. As a super building material, asbestos made its way into our homes from the 50s to the 80s. It arrived in the form of Lino flooring, roofing tiles, electrical boards and textured ceilings. Loose fill asbestos is the deadliest type found in ceiling insulation. Merely disturbing the material can lead to the inhalation of crushed particles. Home buyers now haggle down market prices to have the material stripped and some renovators have it routinely removed. There is a town in Western Australia that once boomed, but now only three residents remain. The term ’ghost town’ usually just means empty. 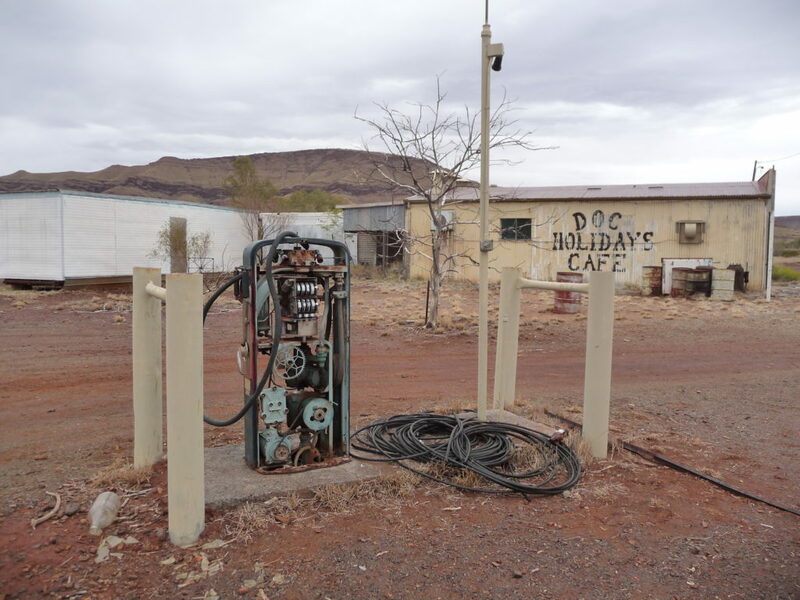 Yet, Wittenoom contains ghosts of hundreds of workers who died working in the mines. Touted as the ‘Chernobyl of Australia’, it’s the most contaminated town in the Southern Hemisphere. Instagram toting tourists frequently visit to snap eerie pictures of the old asbestos mine that closed in 1966. It’s a testament to ignorance. Thirty years after scientists declared the substance poisonous, children were still playing in it. Rolling around in piles of asbestos in the gorge. The worst affected were the Pilbara’s Aboriginal people. They suffered the highest mortality rates from mesothelioma of any group, anywhere in the world. This is because Aboriginal people often did the most dangerous jobs. Bagging the asbestos, loading and unloading it and driving the trucks carrying the asbestos out to the port. While everyone left after the mine closed, the aboriginal community continued living on the land. The three stubborn residents who refuse to leave the contamination zone are still rejecting offers from the government. Why is cancer so prevalent these days? We live amid substances that didn’t previously exist, or at least not in the same volume. 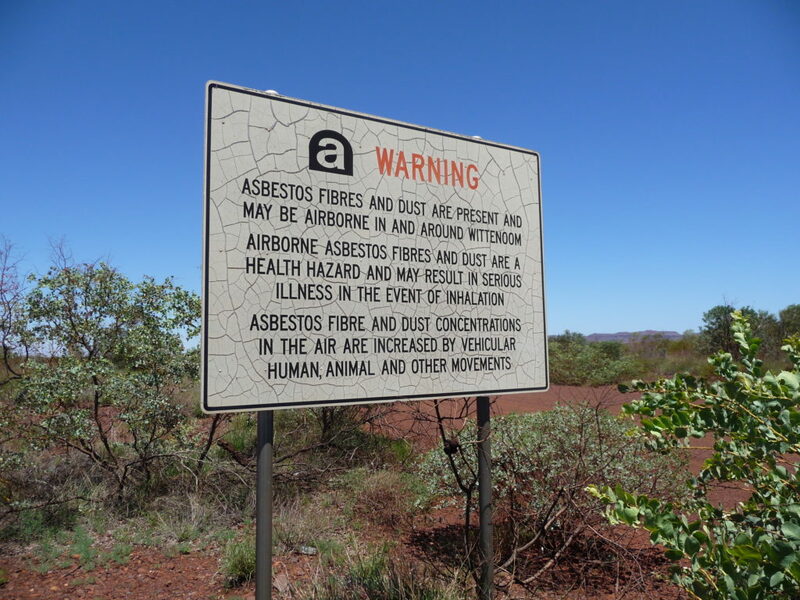 Cars pump out fumes, electronics give off radiation and homes hide asbestos. Like cigarettes, science often catches up after lives are lost. For the world, that number is 255,000 per year. Often the earliest sign of exposure, pleural plaques are areas of scar tissue on the outer lining of the lung, internal chest wall and diaphragm. While not cancerous, the white smooth raised tissue can cause pain or an uncomfortable grating sensation while breathing. Un-Reversible, permanent and deadly; asbestosis does exactly what it says on the tin. The chronic condition is the product of scarring and inflammation in the lungs. Symptoms include shortness of breath, coughing and in some rare cases, an enlarged heart. Tumours can appear in the lining of the tubes connected to the lungs. They can become malignant, spreading to other areas of the body. Smokers, those with a pre-existing condition or genetic lung problems are especially vulnerable. Rare and exclusive to asbestos. Mesothelioma affects the lining of the cavities like the chest and abdomen. Symptoms include shortness of breath, chest, shoulder and upper arm pain and a persistent cough. Currently untreatable, the five-year survival rate for mesothelioma is approximately 6%. These diseases are a reflection of our ignorant world. You can live a normal life with these diseases for 20 – 30 years until one day, your number is called. Some might throw up their hands and react like a nihilist to this information. Or we can learn from the past to make our homes a safer place for our children and future generations. Rod Smith from the Bernie Banton Foundation supports families affected by mesothelioma. He lost his wife Julie to the disease in 2008. He believes home renovation television shows are irresponsible. Motivating people to knock through walls, tear down lofts or change roofing without first consulting an asbestos specialist. Your home should be dealt with like an STD, get it tested! The Home Shows are the place to chat to specialists in asbestos removal. The experts don hazmat suits to test, manage, remove and in some extreme cases, demolish properties that are infected. The government have also funded the Asbestos Safety and Eradication Agency to eradicate buildings full of asbestos. Corporations are now fined up to $2 million and individuals $500,000 for waste offences. The mission could last generations as recent evidence indicated there was now a third wave of asbestos-related disease, caused by non-occupational exposure associated with home renovations. Join the Home Show Club and you’ll be the very first to receive more stories like this, free tickets, special offers, inspiration and more!